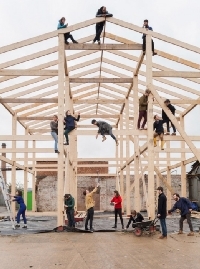 Collective Assemble that uses art and design to tackle urban dereliction becomes first non-artists to win Turner prize. Two young curators Christopher Y. Lew and Mia Locks have been appointed to curate the upcoming Whitney Biennial in 2017. The Whitney Museum of American Art takes on an innovative and experimental approach to present a survey of the most recent developments in American art. 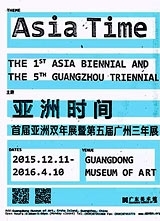 With works by more than 80 emerging and established artists, performers and filmmakers from 25 countries, APT8 examines developments in the contemporary art throughout Asia and the Pacific, exploring how the human form can express cultural, social and political ideas in times of enormous change. 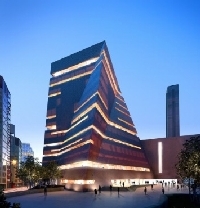 The new Tate Modern opens on 17 June 2016. A new ten-storey building, designed by architects Herzog & de Meuron, has been created behind the original power station, with additional galleries and new places. The National Gallery Singapore which contains the largest public collection of visual arts from Singapore and Southeast Asia from the 19th century to the present day will open its doors to the public on the 24 November 2015. On the occasion of the 60th anniversary of documenta, the Fridericianum will present an extensive survey exhibition of works by Marcel Broodthaers, one of the most significant representatives of the art of the 20th and 21st centuries, from all of his creative periods.